Kai: Ninja of Fire is a Ninjago book released in 2011, written by Greg Farshtey. 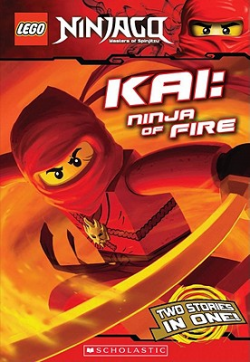 The book describes the adventures Kai experiences to master fire and Spinjitzu. Facts about "Kai: Ninja of Fire"
This page was last edited on 12 January 2016, at 23:05.